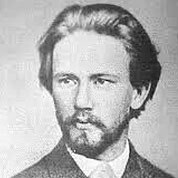 Pyotr Ilyich Tchaikovsky was a Russian composer of the Romantic era. His wide ranging output includes symphonies, operas, ballets, instrumental, chamber music and songs. He wrote some of the most popular concert and theatrical music in the classical repertoire, including the ballets Swan Lake, The Sleeping Beauty and The Nutcracker.